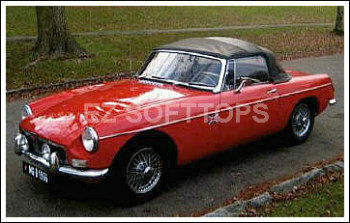 Factory style convertible top for the MGB and MGC with 3 plastic windows. For the folding frame. The top folds with the frame and stays behind the seats. This top fits the 1963-70 MGB convertibles and 1963-70 MGC convertibles.